Home > Blog entry > How much will the Macedonian hydropower plant Boskov Most really cost? The total costs of the Boskov Most hydropower plant project in Macedonia will possibly cost more than twice the projected EUR 84 million, considering that many aspects have so far not been studied or remain unresolved. The project includes a dam of 33 metres height and a power plant with a total capacity of 68MW. In 2011 the European Bank for Reconstruction and Development (EBRD) approved a loan over EUR 65 million plus a EUR 19 million equity share in the project company ELEM. The project has stirred controversy for being located in the Mavrovo national park, the largest and richest national park in Macedonia and home to the last reproductive population of the Balkan Lynx, an endangered species. Critics of the project, including Bankwatch and its Macedonian member group EkoSvest have since the beginning complained about the inadequate planning. Three years after the EBRD approved its loan, it looks likely that the many uncertainties and delays of the Boskov Most project will impact its final price tag. The tenders for the power plant construction, published by the EBRD  range from about EUR 87 million to about EUR 114 million. Since the tenders are only for the construction (LOT 1) the absolute project costs would be much higher than the currently planned EUR 84 million (which are the same as the finance provided by the EBRD). Plus 20% overhead costs on the total sum. This would increase the project costs to somewhere between EUR 171 million and EUR 204 million depending on the offer that will be chosen. Not included in the calculation are costs for the transmission line (see below), monitoring and mitigation measures for environmental protection. However, this is not even the whole story. A power plant off grid? The project as it is proposed now does not include a transmission line to connect the power station to the Macedonian grid, obviously an essential part of the project’s functionality. To this day, it is not known who will finance the construction of the transmission line and under what conditions, and unsurprisingly, no environmental impact assessment has been made for this part of the project. A series of new studies still needs to be conducted: an economic feasibility analysis is required and should follow the completion of a hydrology and hydromorphology assessments, as well as an analysis of the legislative gaps in the latest one-year biodiversity monitoring survey conducted by the investor ELEM. 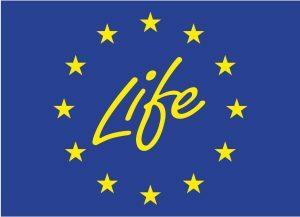 Additionally, an assessment whether the project is in line with the EU Habitat Directive needs to be carried out before any further decision is made. None of these analyses have even commenced, making the project cost impossible to gauge at this moment. The fact that the economic feasibility of the project still has to be assessed creates uncertainty not only for the costs of Boskov Most, but whether it is economically worthwhile at all. Since the construction of the hydropower plant has still not started, the environmental permit has expired on October 13, 2014. ELEM has yet to submit a request for the extension of the permit, but according to Macedonian legislation a new permit requires the whole environmental impact assessment process to be carried out from the start. At a meeting with civil society in October, the EBRD’s directors visiting Macedonia agreed that the project has been complex and a serious challenge for the bank. They also admitted that the original cost estimations were improper and too low. Apart from revising cost estimations upwards, however, the fundamental issues with building a power plant in a protected area cannot easily be resolved. There is an inherent value in the Mavrovo national park whose loss will not be reflected in a price tag. 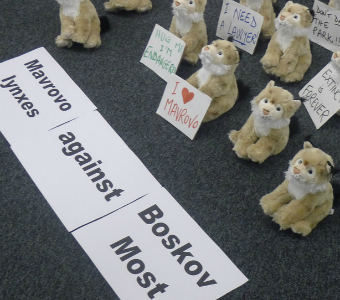 Rather than continuing the ill-conceived Boskov Most hydropower plant (and burdening Macedonian tax-payers with an annual commitment fee of EUR 325 000), the EBRD should cancel the loan for the project. 1. Due to an update of the EBRD’s website the original file is currently not available on the bank’s website. Only a cached copy (pdf) can be accessed via google.